The whole cheese was founded in 2012 by a cheese maker who wanted to spread the good word of cheese by providing delicious cheese options at live events. 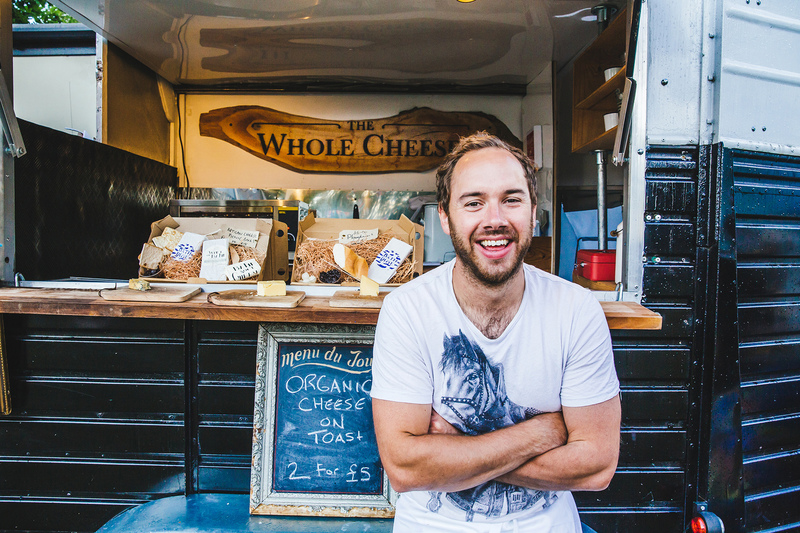 In 2014 we appeared on channel 4’s amazing spaces when we converted our horse trailer in to our cheese truck. We attend various private events, weddings, music festivals, outdoor shows, concerts and sporting events so check our pages for further details! All our cheeses are artisan and organic from the west country and we have a wide selection for you to choose from. We are now available for hire for your special event where we can provide you with all things cheesey and a licenced bar! That is nice. Wonder your contribution on dutch cheese ? Would love you to come to our Somerset Day events 13 & 14 May in Bishops Lydeard? I am getting married next year and am just starting to look at a some different options and saw your website and thought it looked like a great idea. Who doesn’t love cheese ! I wa hoping you could give me some rough idea of what is involved and what the cost would be of hiring for a wedding.